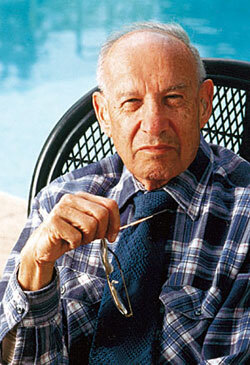 Peter Drucker is credited with the idea that the purpose of a business is to a create customers. Is the purpose of YOUR business to create customers? In some respects this notion seems too simple to be worth very much to managers that are troubled by wild swings in revenues and profits. But for the next few minutes let’s take the position that creating customers is what business is all about and that our leadership task is to figure out how to make this happen—even during difficult economic challenges. To that purpose I offer the following abbreviated and introductory list of the major problems you must acknowledge if you want to build a sustainable customer base. How did I develop this list? Thirty years of turnaround and performance improvement assignments makes me more than a just casual observer on the bus! Why not offer a list of solutions? Because any business leader with an ounce of smarts knows that only fools present solutions before understanding the context and culture of the organization. This list is about creating awareness. I am confident you will figure out the next steps. First, promoting good people to leadership roles even though they have no practical experience as front line service providers is a serious internal barrier to customer creation. You know it’s true. Without first hand knowledge of the customer management bucket (acquisition, retention, penetration, growth) even potentially talented players are only capable of making generalized decisions. They must rely on the business’ frontline heroes to work out important details and even then, these leaders are not likely to understand the unique reasons why an idea was either a failure or a success. My belief system starts with the notion that customers are like gold and the people who are charged with making strategic decisions, which by nature are externally focused, must have a practical understanding of why customers use your service, how they use it, and what your product does for them. Creating a customer is crucial to the business and requires your best talent. 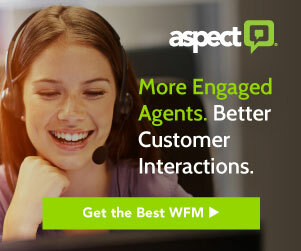 Second, stop trying to run the customer management bucket from a backside perspective! Does it really makes sense to employ a detailed strategy for emergency situations, capital acquisitions and de-commissioning, expense management, product development, or lean process implementation and yet have no identifiable customer strategy? Conventional wisdom aside your people may not really know what makes customers tick. The good news is that you don’t need to invest in an expensive research report to confirm this, just look around and ask your people what they think your firm does to create and retain customers. By the way, I am not suggesting you poll the senior managers and owners. Ask the people who do the work everyday a few basic questions. How do we acquire customers? 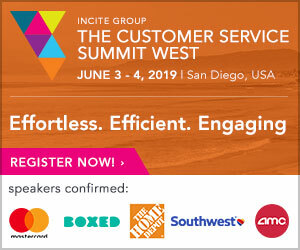 What customers do we best fit? What do we do to retain customers and is it working well? Why did we lose those previously good customers, really? If you are willing to ask the right questions of the right people the “how” will take care of itself. Third, sending your sales team into the field without an evidenced-based understanding about why customers switch suppliers in your industry is like sending an army into battle with good weapons and no field intelligence. This problem is not about feature and benefit selling but rather about serious customer knowledge. The reality about why your products and services matter to customers is crucial. Waiting for the sales reps’ learning curve to kick it into high gear is a waste of time, money, and people resources. Relying on a sales training curriculum that is long on face-to-face techniques and a CRM database that is full of demographic information describing call activity is dangerous. One the other hand if you believe that your fundamental purpose is to create a customer then you will embrace a working expertise in customer switch behavior. Why? Because most of us have lots of competition and in order to create a customer we must be very good at selling the solutions that customers value. Fourth, customer satisfaction surveys with the generic five questions that no respectable customer takes seriously are often just another money pit! You know the questions and you don’t like them either! Was our price fair? Was our representative friendly? Would you recommend us to a friend? Did we deliver on time? Other? The problem is that you send out these cards, collect some data, and mostly do nothing with the responses. Let’s be honest here. The data is typically useless garbage. How about saving everyone some time and money and deal with the real issues. First, are your customers really better off today than they were two years ago? How do you know? Did you actually change anything to make them better off or did you just ask a few people to try to pay more attention to XYZ Inc.? Second, have you established any semblance of continuing education for your managers on the subject of building customer value? People talk about this stuff all the time but when I ask leaders to define customer value as it applies to their business, not some marketing theory, I hear nothing of actionable worth. Hopefully this little article caused you to stop for a moment and begin to re-think whether the fundamental purpose of your business is to create a customer. Perhaps you don’t have the problems discussed above. Here are a few more examples designed to jog your reality check: a pricing strategy devoid of customer value analysis; a host of internal communications and reports that have no relationship to customer issues; human resource policies and performance incentives that are absent tangible customer results; or finally, products and services in your catalog that don’t seem to respond to any palpable customer problem. Some would say that in managerial circles position often determines perspective. In this article I am asking you to allow your customer perspective to determine your organization’s competitive position! Ron Ackerman is a service industry expert with experience of a broad range of industries including oil and gas, marine, transportation services, insurance, software, uniform laundry, and waste/environmental services. Ron has also held leadership positions as Vice President, Ambar Environmental & Marine; and Division Vice President & General Manager BFI Waste Systems. Ron has an extensive background in industrial service management leading turnarounds, startups, corporate task forces, and special marketing projects. Next article: The Customer Is Not Always Right!